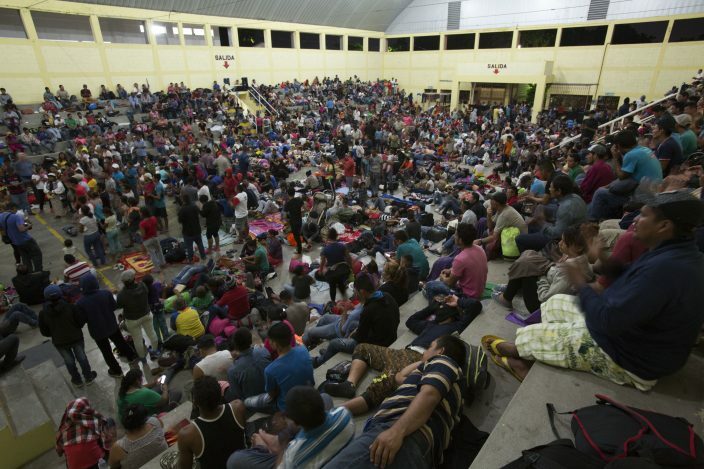 A caravan of some 2,000 migrants hoping to reach the United States marched deeper into Guatemala as President Donald Trump threatened to cut off aid to Central American countries that don't stop them. 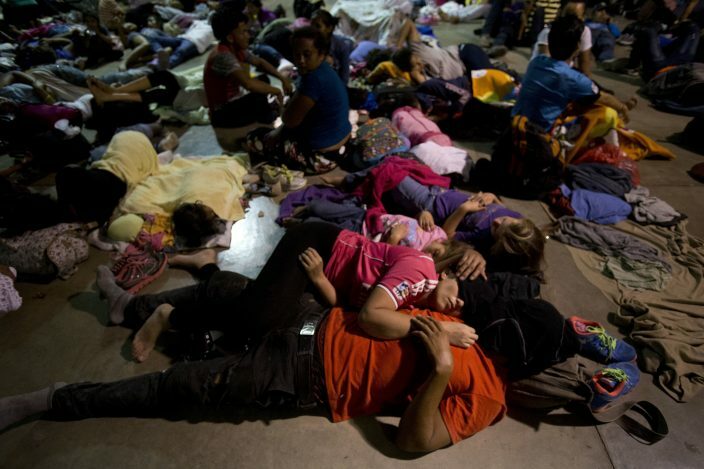 The weary Hondurans covered some 30 miles Tuesday to arrive in Chiquimula after crossing the border into Guatemala a day earlier. Some hitched rides, while others walked. They expressed faith that obstacles would be removed and were generally undeterred when told of Trump's exhortations. As stifling daytime heat gave way to an evening downpour, Norma Chacon, 31, prepared to sleep on the floor of a town auditorium with her 18-month-old son, who was barefoot and clad in overalls. 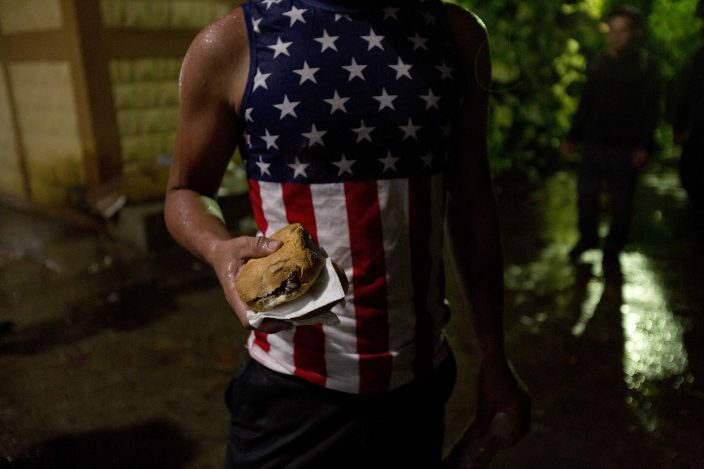 Town residents brought the migrants bread, beans, cheese and coffee. Chacon said she had tried selling Avon beauty supplies in Honduras, but "people are so poor they can't buy." She left two other children in Honduras, but said she had to bring her youngest because he is still nursing. "Anybody entering the United States illegally will be arrested and detained, prior to being sent back to their country!" he tweeted. 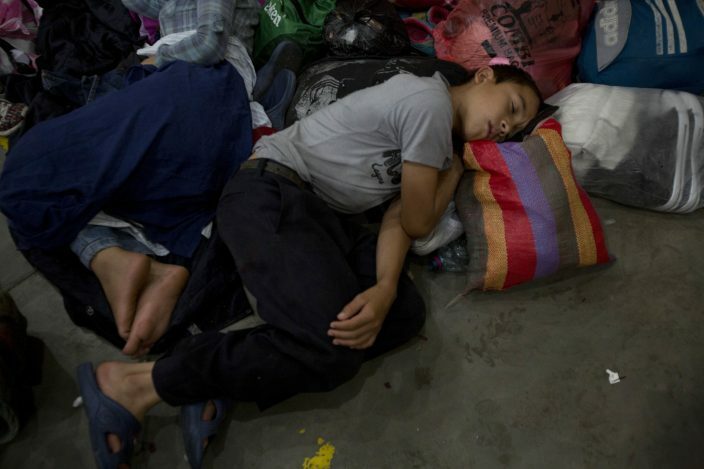 The group's numbers have snowballed since about 160 migrants departed Friday from the Honduran city of San Pedro Sula, with many people joining spontaneously while carrying just a few belongings. A Guatemalan priest estimated more than 2,000 were fed at three shelters run by the Roman Catholic Church in Esquipulas, the group's first stop in Guatemala. Three weeks before midterm elections in the United States, the caravan was bound to draw Trump's fury. But he did not follow through on a similar aid cut threat to Honduras in April over an earlier caravan, which eventually petered out in Mexico. In his first comments on the latest migrant group, Honduran President Juan Hernandez accused "political groups" he did not identify of using lies to organize the caravan as a way to cause problems in Honduras. 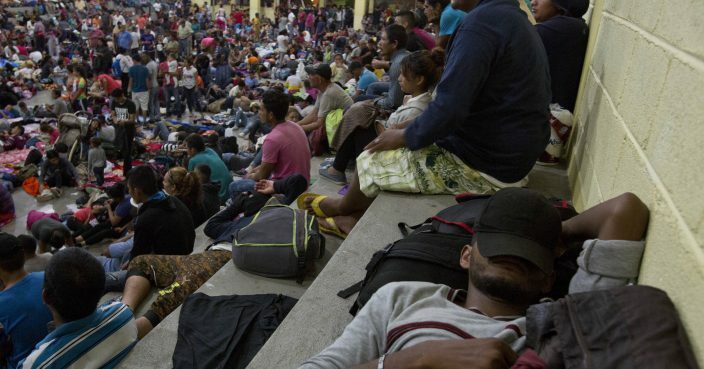 Earlier, Honduras' Foreign Ministry said people had been lured to join the migration with "false promises" of a transit visa through Mexico and the opportunity to seek asylum in the United States. 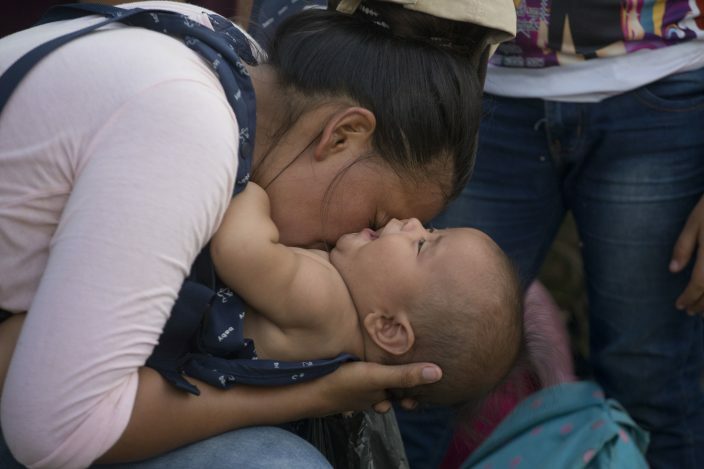 Still, it remains unclear if Mexico and other governments in the region have the political will to physically halt the determined Honduran migrants, who are fleeing widespread poverty and violence in one of the world's most murderous countries. Fuentes' wife, Dunia Montoya, said her husband would be detained for 72 hours and then deported if interventions by Guatemalan human rights groups were unsuccessful. Gabriela Natareno, 27, who was traveling with her 16-year-old cousin, said Honduras' president is to blame for continued migration by desperate Hondurans.